Flowers and native grasses act as a filter and slow erosion. Kentucky thunderstorms produce a riot of color as the earth welcomes the rain. But not all of that water gets soaked up by the flowers, shrubs and trees. It runs off of roofs, lawns, down streets, into the storm drains and from there, directly into the nearest creek or river. Storm drains are meant for rain only, but water running across the land picks up pollution like bacteria, chemicals and trash left on the ground and creates one of the biggest challenges to water resource managers: non-point source pollution, also known as runoff pollution. Typically, when we imagine water pollution, we think of a pipe pouring industrial waste into the environment, something we call point source pollution, because it can be traced to a specific source. Non-point source pollution is much harder to control, because it comes from everywhere, and we all contribute to it. This means that to address it we must approach it in a new way. What is the Watershed Approach? Everyone lives in a watershed, which is defined as an area of land where runoff flows to a common body of water (ie a river or stream). Wherever you live, when it rains, that rainwater is naturally going to want to flow downhill to the lowest point, and that is where your stream forms. To keep pollutants out of the stream we have to address the issue at a “watershed level”, which means examining the area as a whole, identifying specific problems within each individual watershed or area and solving them as a community. ways. These can be structural or engineered control devices, like fencing to keep livestock out of streams or rain gardens to nonstructural, like minimizing use of fertilizers or picking up pet waste. A watershed plan itemizes the problems, priorities and activities that the citizens in the watershed need to address, providing a guide for improving and protecting the watershed using BMPs. The process allows watershed residents an opportunity to work cooperatively, and foster an understanding of how we all impact the greater community. How Can I Start Planning for My Watershed? The Banklick Council at work. The first step in watershed planning is to determine the state of your watershed. You can begin by finding out where your creek is, and what condition it is in. The Kentucky Division of Water’s Water Health Portal can help you locate your creek and determine if it has been assessed by the Division’s monitoring section. This will tell you if the waterway has a known impairment for a pollutant. Ideally, a Watershed Plan has already been developed for a watershed near you and you can work to implement the actions outlined in that plan. Once you get a feel for your area, you can contact your local basin coordinator who can then help you connect with others who also want to help protect the watershed. The federal Clean Water Act provides funding for the development and implementation of watershed planning projects to prevent, control and clean up non-point source pollution. Proposals may be submitted by any interested Kentucky public or private organization that is willing to initiate, develop and/or implement a watershed action plan. For example, if a community group finds that their watershed has a bacteria problem, they should investigate what’s happening and contact their area basin coordinator. Their coordinator can advise them on what to do next, which could involve contacting their local health department and/or conservation district to apply for a grant through the Kentucky Division of Water to fund a study to determine the source of the contaminant or to implement an existing plan. If the problem is found to be caused by poorly maintained septic systems or agricultural runoff, then the involved agencies can use grant allotments to help land owners install BMPs that will control the bacteria input. The plan would follow the process from determining the cause of the problem to implementation of the solutions to success monitoring to determine the project effectiveness. The complicated nature of non-point source pollution means that there is no “one size fits all” solution for all watersheds. What works in one area may not be as effective elsewhere, or may not be feasible for the citizens involved. Plans can and will change to meet the needs of the individual watersheds and the communities that depend on them. What is most important, is that stakeholders make their voices heard in the planning process, and take an active role in creating effective strategies for non-point source pollution control. To find out more about the quality of water in your area contact your local basin coordinator at the Division of Water at 502-564-3410. 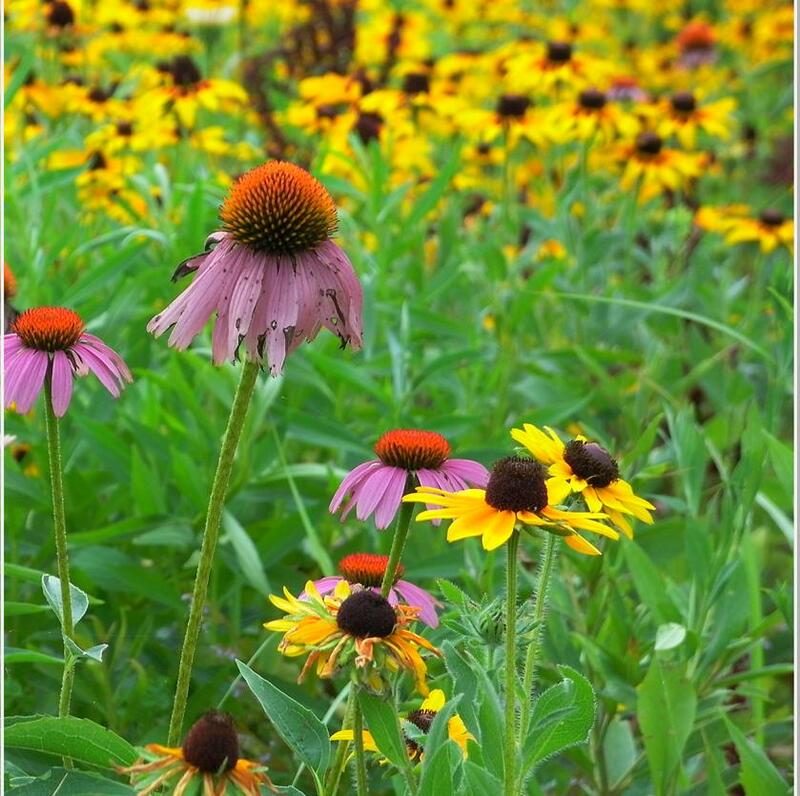 Rain gardens– These gardens are designed to withstand the concentration of nutrients usually found in runoff. They also slow down the runoff and ease erosion. Rain barrels– These barrels are simple and inexpensive way to collect and store water from your roof, that would otherwise turn to runoff and drain into storm drains and streams. Permeable pavement– Permeable pavement allows for the flow of stormwater through the surface to the soil below. This pavement is able to reduce runoff, traps and filters pollutants from water. Infiltration basins– manages runoff, prevents flooding and erosion and improves water quality in nearby water bodies. These basins hold a shallow amount of water and promote groundwater recharge. Bioswales– Bioswales are vegetation areas along a paved area that prevents runoff to be soaked up by plants that also filter out pollution. Fence livestock out of streams- Cattle and livestock in water and streams pollute the water with pathogens, urine and feces. They clog waterways with sediment trampled from the banks and disrupt the aquatic ecosystem. Riparian buffers- Buffers are a vegetated area near a forested stream which shade and partially protect the stream from agricultural production and adjacent ;and uses. No mow zones- A no mow zone is a zone designated to progress to its natural state. Over time eventually the area will filter storm water and runoff and prevent erosion all the while, providing cover and a habitat for many animals. Limited fertilizer applications- Limiting fertilizer applications protects water resources from the harmful effect of nutrient rich runoff from areas receiving fertilizer. Conservation tillage and cover crops- Cover crops provide erosion, control filter excess nutrients and may actually improve soil condition. Tillage leaves the previous year’s crop residue to reduce runoff and soil erosion. Watershed Plans may already exist in your area. Check out the map to see where plans are in place and contact your local Basin Coordinator for more information about how to get involved (502-564-3410).